It means being there, being available, being accessible all the time. Thank You for sponsoring tank of oxygen! This is the 3 or 4 digit number printed on the back signature panel. It is on the front of the card for American Express. Please mail a receipt to the address above (in addition to the receipt I will receive via email). Do not hit the "Donate" button more than once! 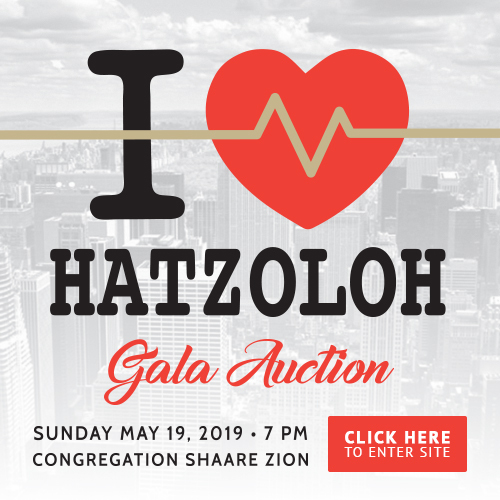 Flatbush Hatzoloh is a non-profit 501c3 organization. You will be automatically redirected to our auction website.